Westside Surgical sales team is highly trained, with exceptional technical and product knowledge. Westside Surgical is recognized for superior medical supplies, products, services and sales with low pricing and excellent customer service. 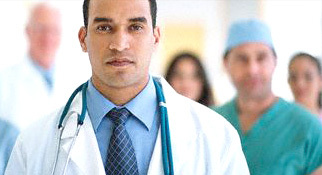 Our integrated medical services and marketing approach combines extensive direct sales marketing programs. Our service initiative is to dedicate all our energies to helping you, our customer, to practice high-quality healthcare while improving the profitability of your medical practice. Westside Surgical is your leading medical sales provider with national and Westside Surgical private-brand products and supplies. Westside Surgical’s highly skilled sales team is here to service you. As a medical supplier we have over 17 years of experience bringing clients like you, the highest quality, largest selection and best values in medical supplies and services. Our medical sales team is proud to be able to supply medical, surgical and healthcare practitioners in any country with all of their necessary medical product needs. If you need a medical sales partner to assist with your state-of-the-art practice, depend on Westside Surgical. We are a distributor of healthcare products to office-based practitioners in North American. For more information about our medical supplies, sales, equipment and/or services please contact us at (310) 841-2325.